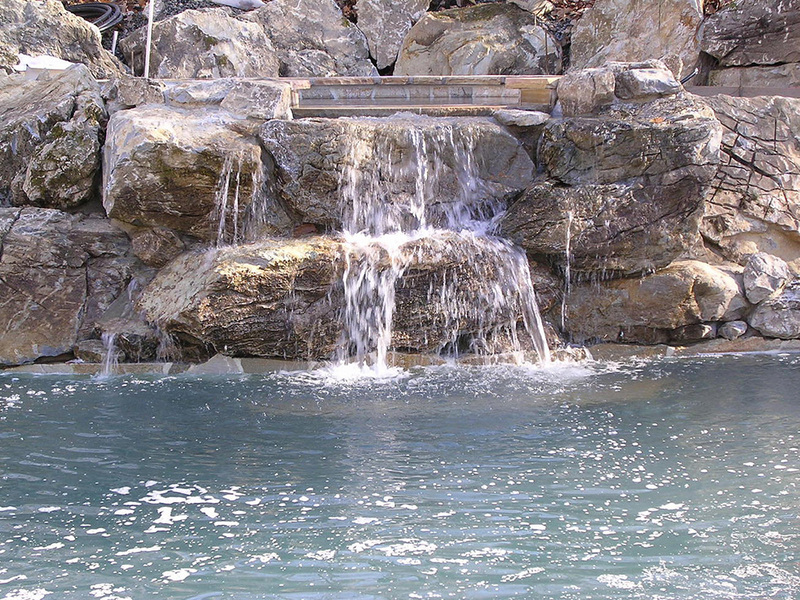 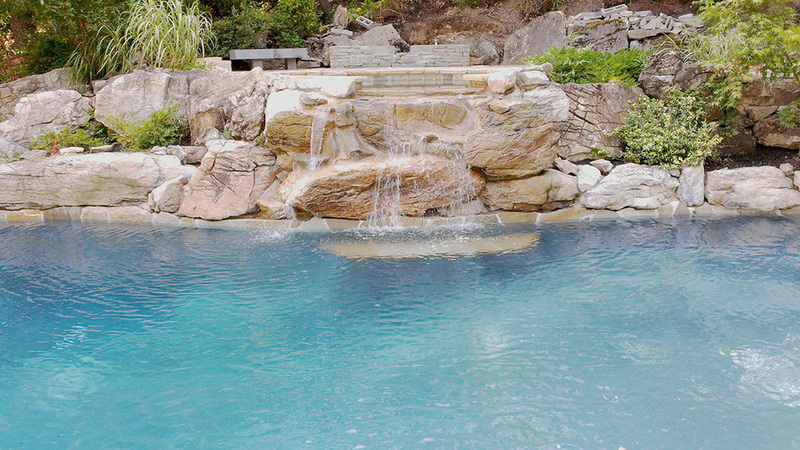 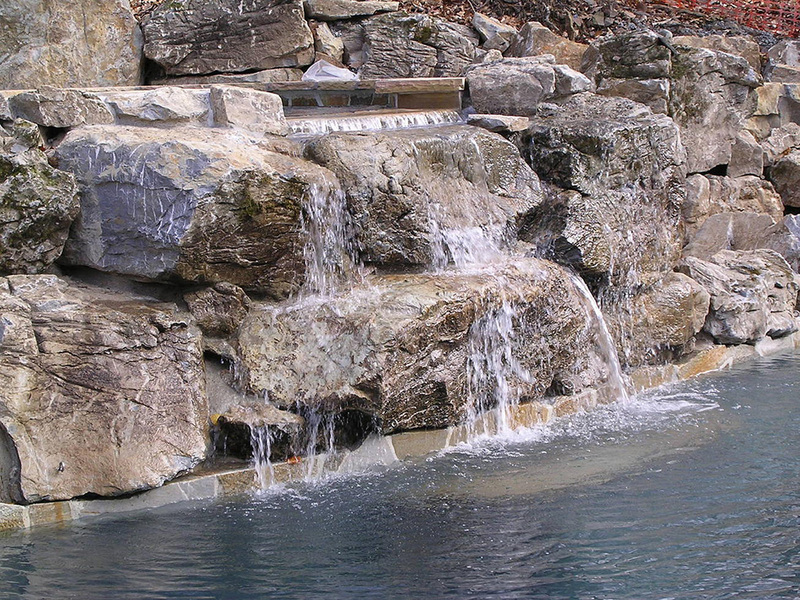 The challenge to this Watchung pool nestled in the side of this mountaintop was the access to the backyard. 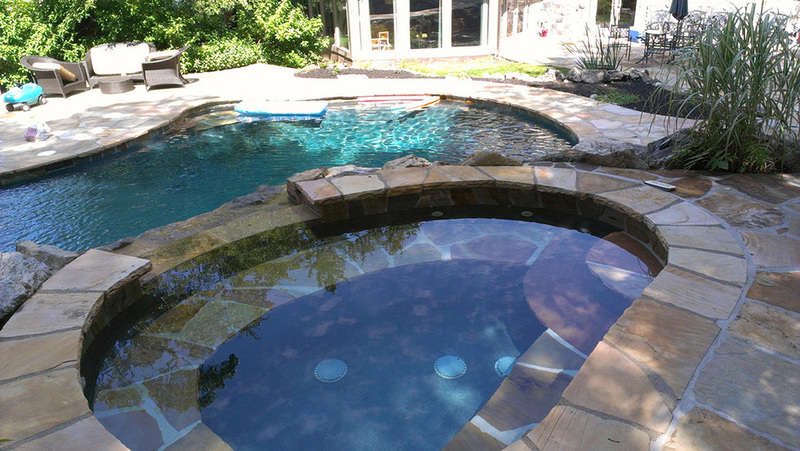 Only a tight space was available to get the materials in the backyard so we used smaller machinery and more manpower to get this project completed. 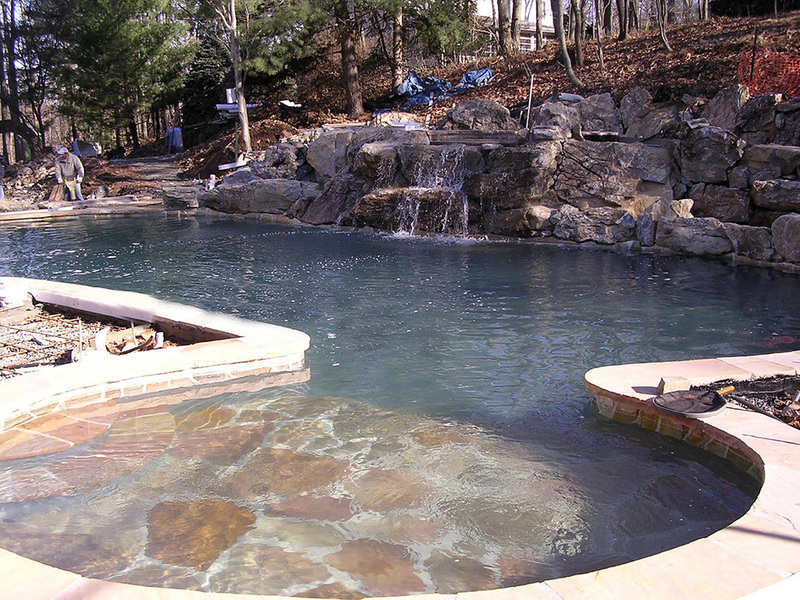 Working with the grade change of the property our designer used a raised hot tub to flow into the 900 square foot pool 4 feet below. 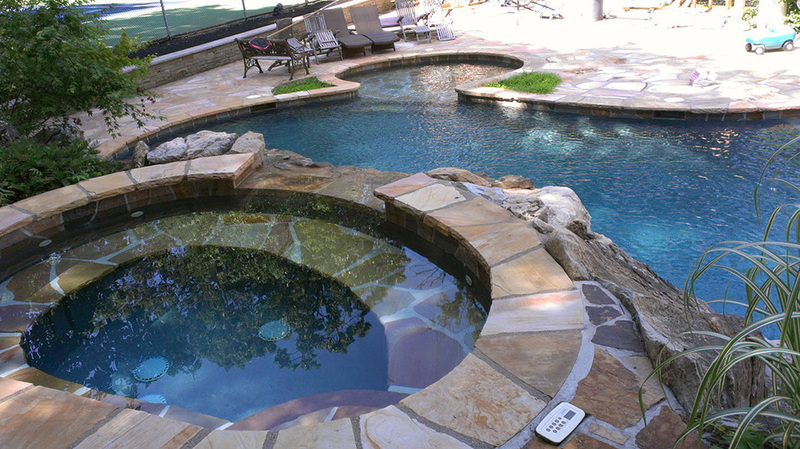 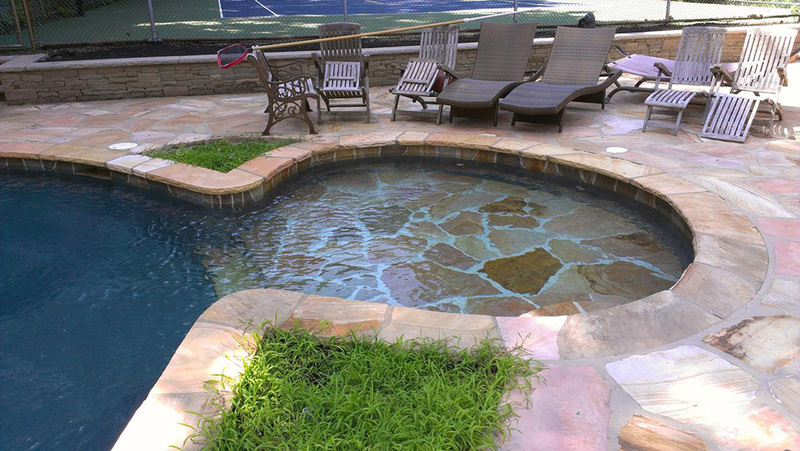 The pool has a kiddie area that was lined with Tennessee stone which was also used for the pool decking. 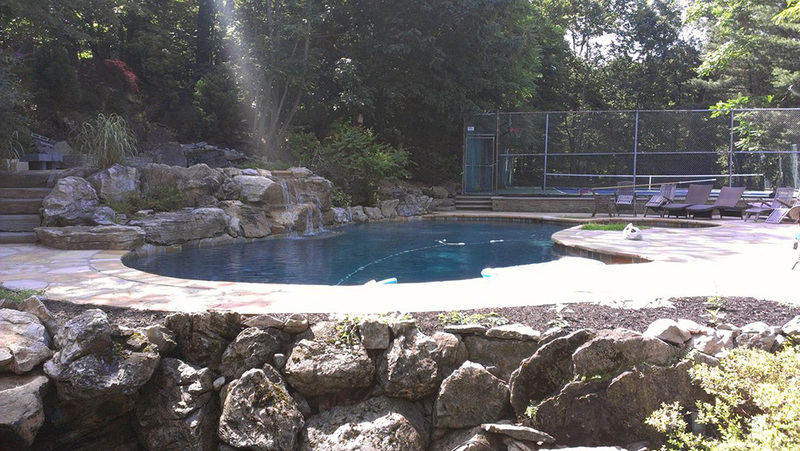 To go from an aged and dilapidated liner pool to this work of art only brought value to this Watchung Estate.